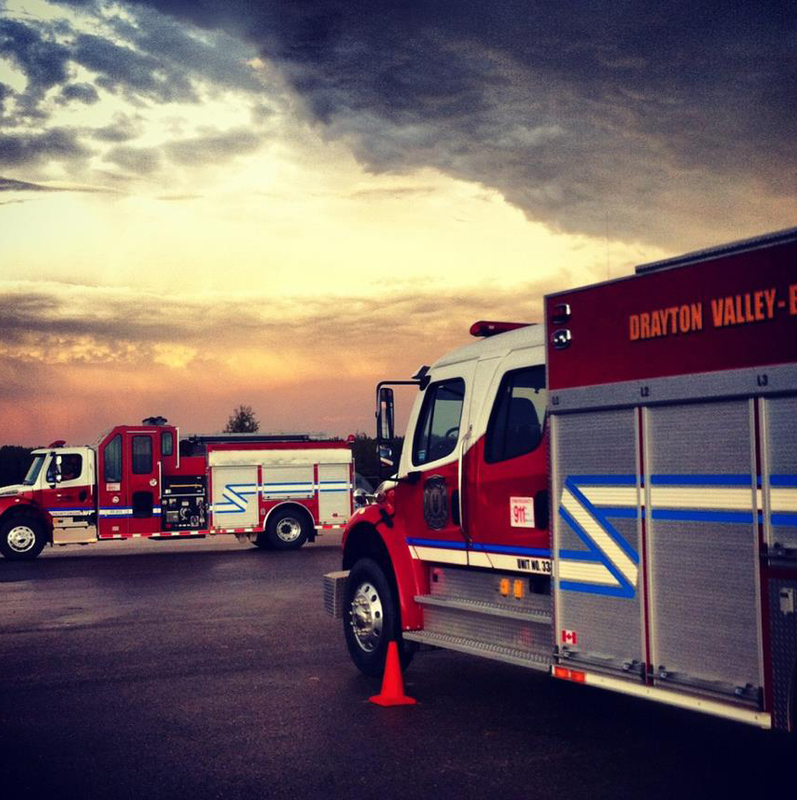 Averaging 300 calls per year, Drayton Valley/Brazeau County Fire Services sees a wide variety of calls throughout the region. From structure fires to motor vehicle collisions to wildland and wildland-urban interface, the men and women serving to help protect our community are committed to the preservation of life, property and the environment. “NO FIRE BAN” status effective May 31st /2018 @ 8 am. Outdoor burning is permitted only with a fire permit or in an approved fire pit or burning appliance. For more information please visit albertafirebans.ca for fire up-to-date fire status or contact the Drayton Valley/Brazeau County Fire Services @ 780-514-2216 during regular business hours. Fire Chief Tom Thomson, along with Murray Frank and Kent Fusion were recognized by MLA Mark Smith, Mayor Michael Doerksen and Town Council at the December 20, 2017 Council meeting for their years of dedicated service on the Fire Department. 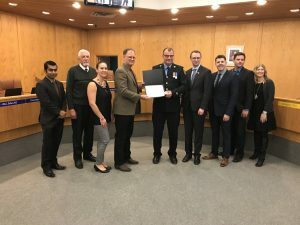 The Alberta Government initiated the Alberta Emergency Services Medal to recognize Alberta Emergency Services personnel who selflessly dedicated their time, talents, and, in some cases, their lives to the service of others. 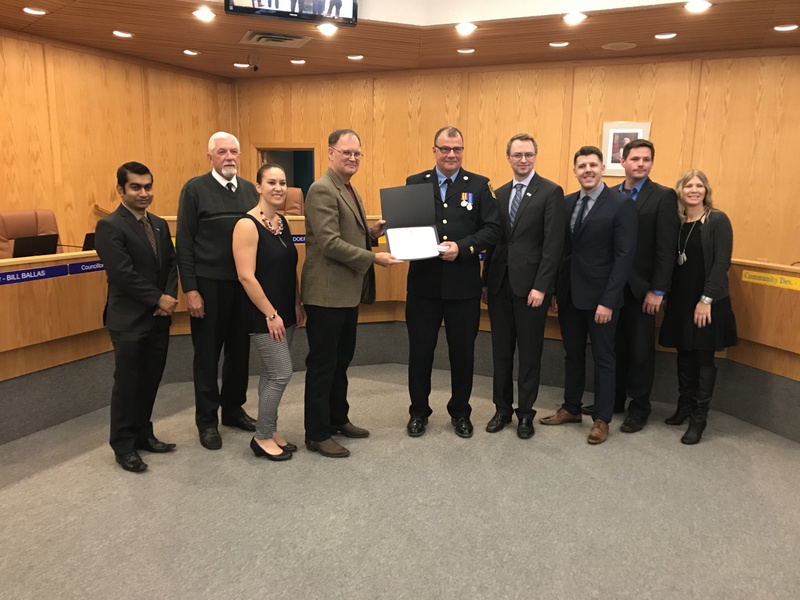 The medal pays tribute to outstanding full-time, part-time, and volunteer members who have committed 12 or more years to emergency services in Alberta. Formed around 1955, the fire department had a volunteer Fire Chief and approximately ten firefighters protecting the area. The department used an old truck with a triplex pump that was later used for street flushing. 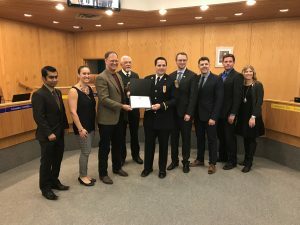 Drayton Valley/Brazeau County Fire Services currently has 4 volunteer/paid on-call firefighters assigned to Station 1 in Lodgepole, 21 volunteer/paid on-call firefighters assigned to Station 2 in Breton and, 40 volunteer/paid on-call firefighters at Station 3 in Drayton Valley. Station 3 in Drayton Valley also serves as headquarters for the region’s fire services. 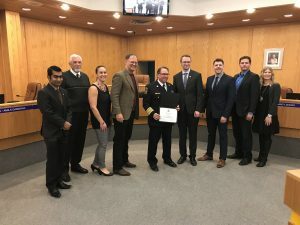 With a total staffing level of 65 men and women, the composite fire service staff in the region includes a full-time Fire Chief, a Deputy Fire Chief in charge of Operations, a Deputy Fire Chief in charge of Training, Inspection and Investigation, a Captain in charge of Maintenance Coordination and an Administrative Assistant. 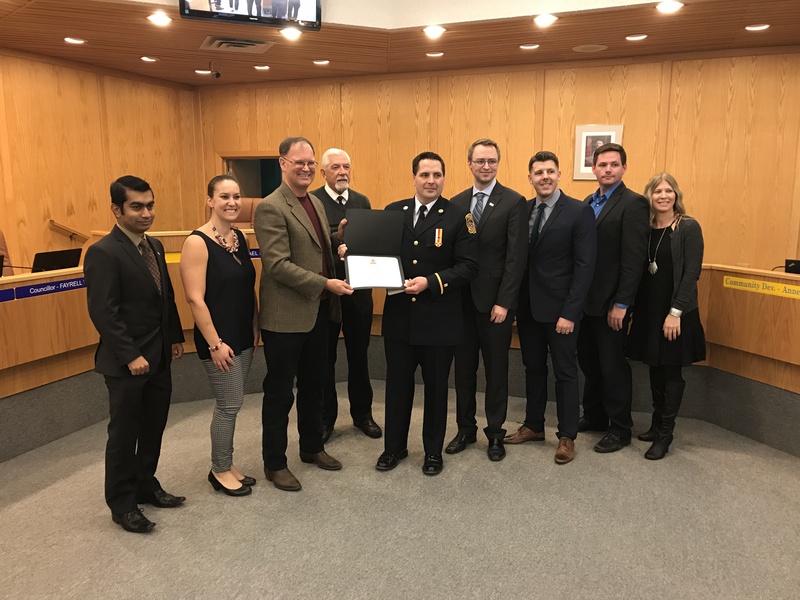 Fire Chief Tom Thomson’s vision of a fire training academy was featured in the Spring/Summer 2017 issue of The Responder – the official publication of the Alberta Fire Chiefs Association. Click here to see the full article.